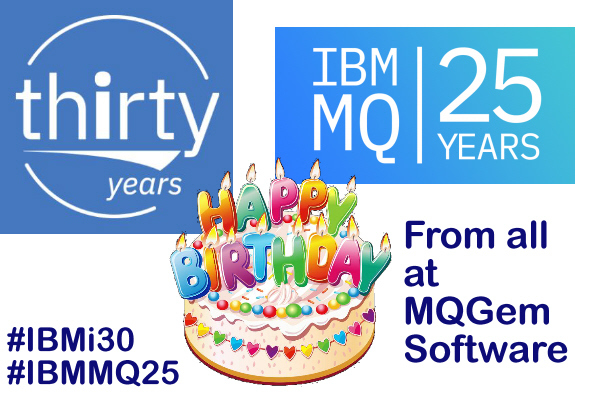 IBM MQ and IBM i – Happy Birthday! This year sees the 30th birthday of the platform now known as IBM i (previous names AS/400, OS/400 and iSeries). Read more about the IBM i Anniversary in Steve Will’s Blog Post announcing the celebrations. 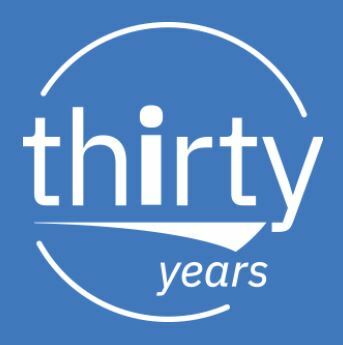 This video was also released as part of the IBM MQ 25 years celebrations. We look forward to more IBM MQ celebrations as the December date approaches later this year. 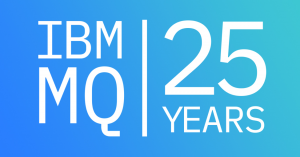 Follow the #IBMMQ25 hashtag to watch the celebrations. MQSeries on OS/400 was the first of the distributed platforms to ship, partly due to the alignment with the OS/400 stack. MQ has been on IBM i platform since 1994. Our very own Paul Clarke was part of the team that developed MQ on the OS/400. He has fond memories of the interesting and challenging discussions that were had with the introduction of the different architecture of the OS/400 machine compared to the Unix and OS/2 machines they had been working on. To celebrate both birthdays, MQGem is very pleased to announce that all our MQ training modules now include instructions for the IBM i platform as well. MQGem is pleased to announce the availability of new online training modules for IBM MQ. These online, self-paced modules are designed to allow you to get training on IBM MQ without the need to wait for a date where a classroom based course runs. You do the provided worked exercises on your own machine allowing you to learn IBM MQ in the same environment where you will later need to use the skills you acquire. You need a system with IBM MQ installed on it – preferably IBM MQ V8 or V9. If you do not have such a system available to you to use, you can download IBM MQ Advanced for Developers, from IBM MQ Advanced Download Page for free and follow these instructions MQv8 or MQv9 for installing it (or for Windows watch these videos MQv8 or MQv9). Training modules are continually being added and you can see the currently available set on our website. The modules are provided on a Web based learning platform to which you will be enrolled on the modules you choose. The dashboard shows your progress as you work through the modules and remembers where you are in the instructions if you leave and later come back. 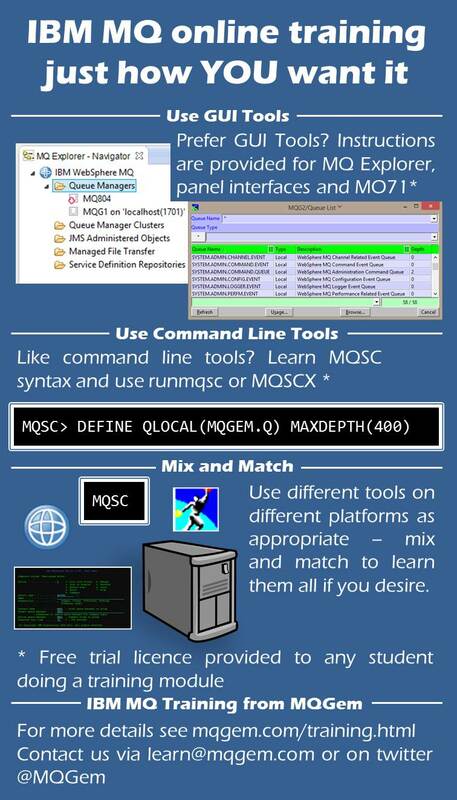 Instructions are provided for a variety of MQ administration tools including MQSC, MQ Explorer, MO71 and the z/OS ISPF Panels. You press the button in the instructions for the tool you wish to use. Similarly, instructions are provided for various IBM MQ platforms. 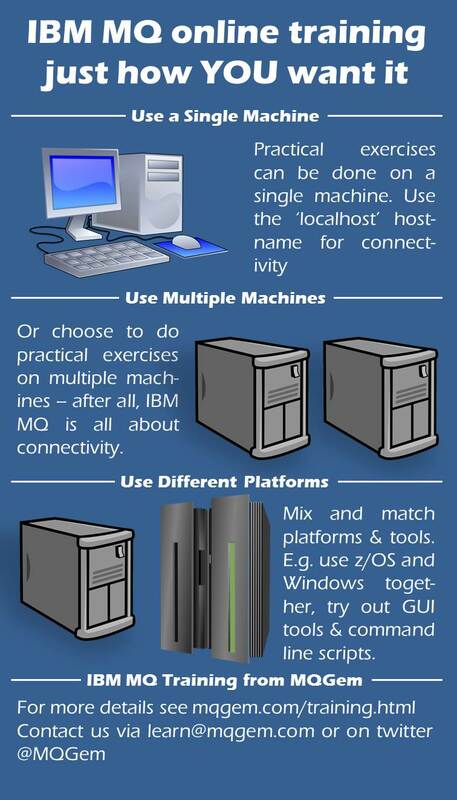 Initially UNIX (tested on Intel Linux), Windows and z/OS. Other platforms can be added upon request. 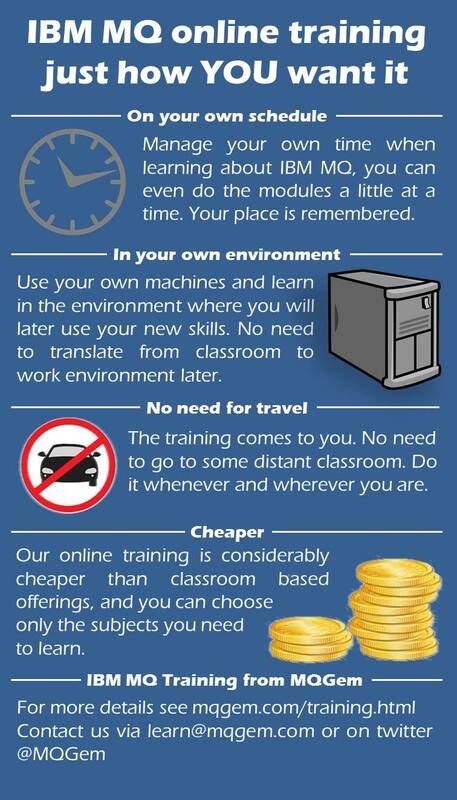 If you like the format, why not try some of the other training modules. They are great value for money, providing training in IBM MQ from an expert in the product, for a fraction of the cost of classroom based training. At the recent MQTC Conference, MQGem ran a Prize Draw where one lucky entrant would win access to five free education courses by MQGem which will be going live in November. 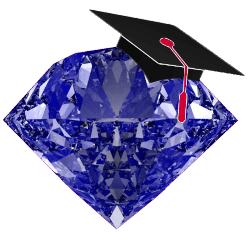 These courses can be done by the winning entrant or any member of his company, so if he has any new members in his department that can benefit from some IBM MQ education, they could use them. The draw was made at lunchtime on the final day of the conference and the lucky winner was John Edelmann from the Defense Logistics Agency (DLA). Morag Hughson (MQGem) with John Edelmann, the prize draw winner. John will receive access to his five free courses sometime around the beginning of November 2017 when the MQGem Education courses go live. Look out for further announcements on here if you’re interested in taking some online education courses yourself.